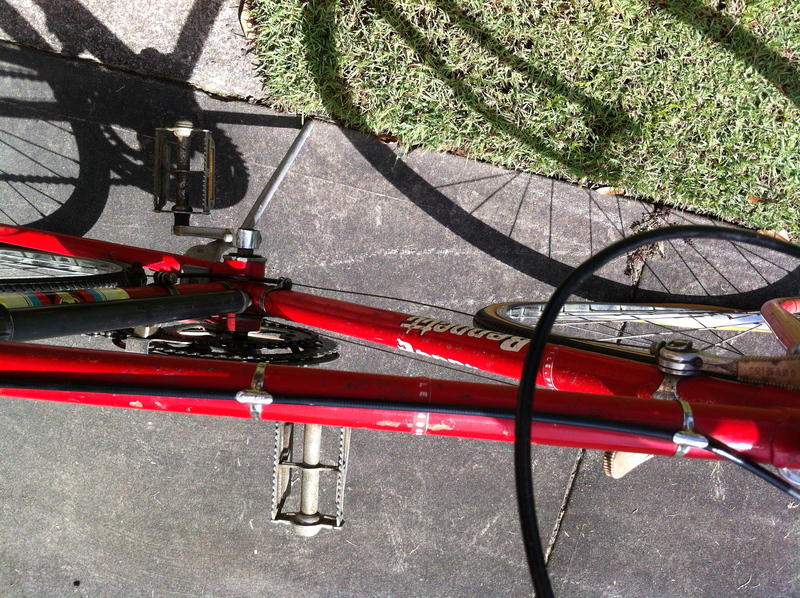 I had been thinking it would be great to have a road bike to take out on faster rides, such as when I ride Fernleigh. I used to have a road bike when I did triathlons many years ago and quite like the drop bars for their lowered wind resistance. 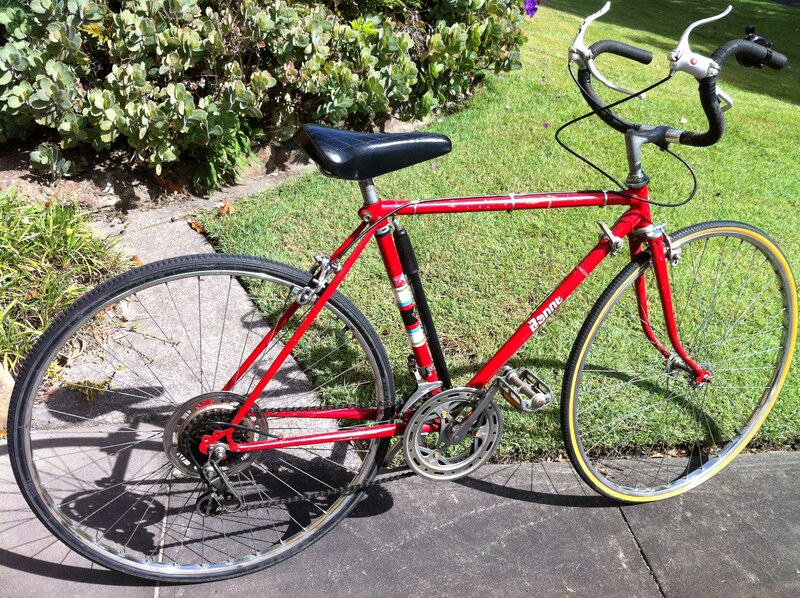 Then I got an offer of a Bennett. This is it, fresh from the depths of the garage where it had been stored since, probably, the 80s: Not bad. I had said I would take it, sight unseen, when I was told about it, but seeing it in the metal in the cold hard light of day, I am even more taken with it, not least as it is of a vintage that I would like to work with. 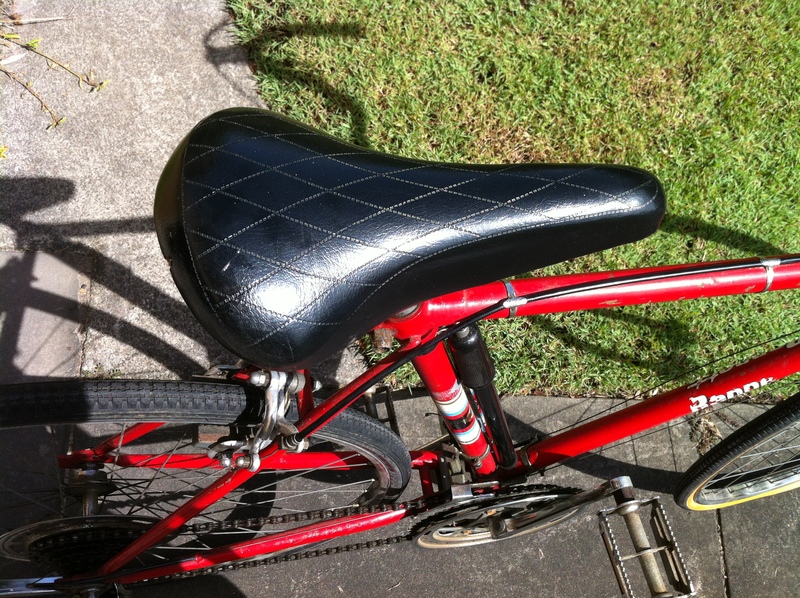 Some covetable features (for me anyway): the original saddle… I am hoping it is comfortable. Note the pump too! 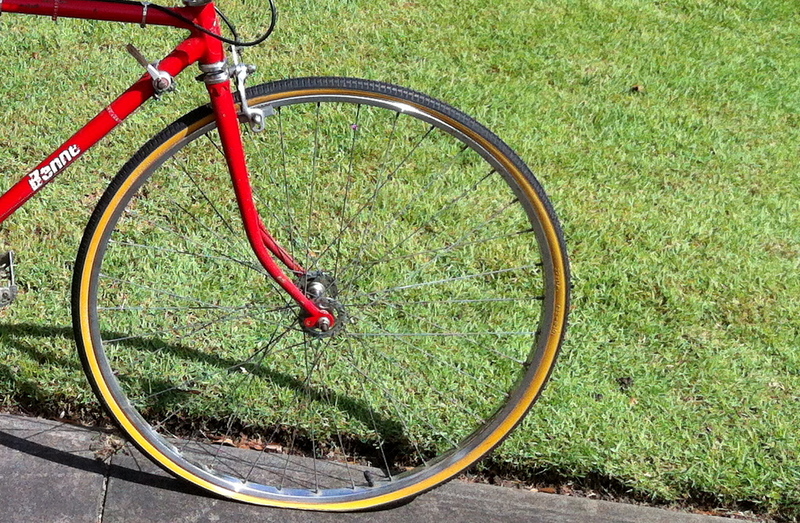 Also, chromed rims are very high on my wish list: as are the chromed cable holders … The shifters are Shimano and I am quite comfortable using the down tube shifters. 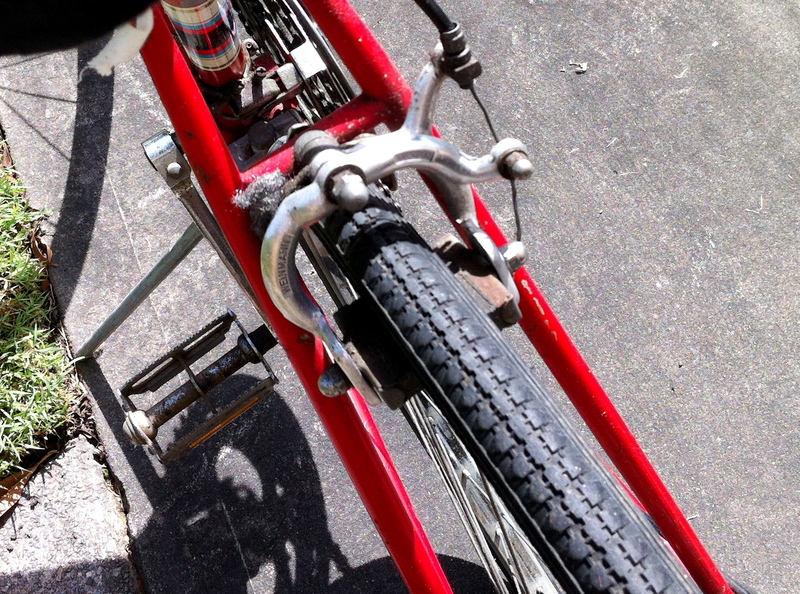 The brakes seem to be in good working order and there is plenty of rubber on the pads… I also like these pedals with their yellow reflectors … The head badge has been painted over … It even has a bell that works, with that old fashioned brring sound! 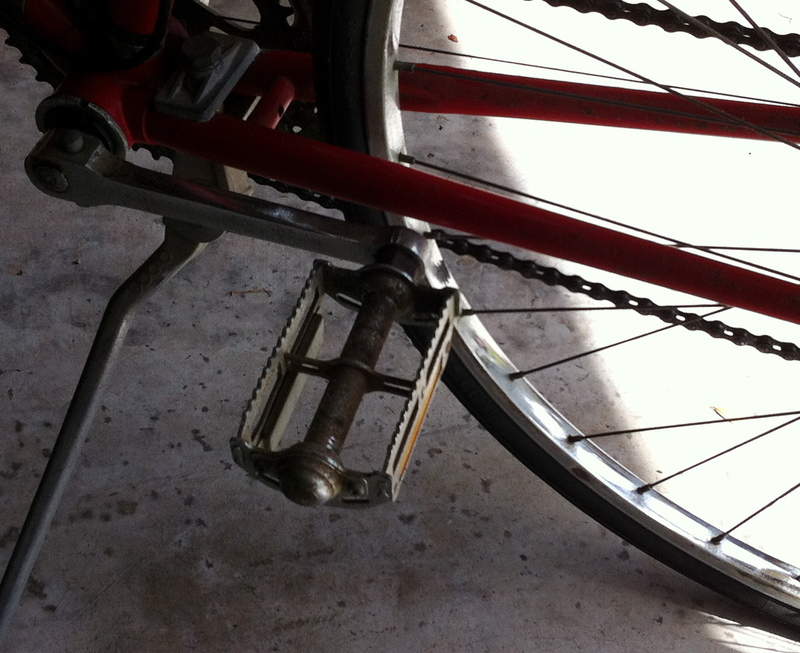 Next step will be to get it on the road and see if it fits well …. 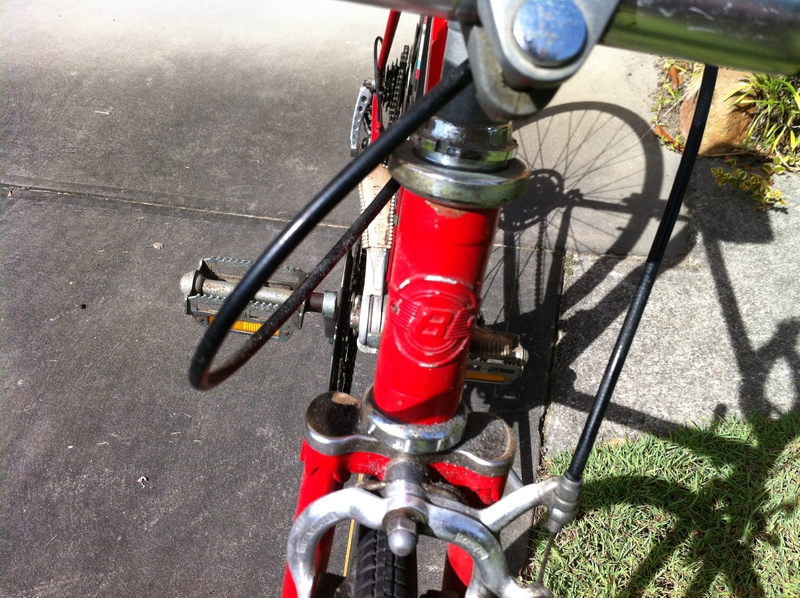 This entry was posted in Bennett, Vintage bike, Vintage bikes and tagged Bennett, old bike, restoration, vintage bike. Bookmark the permalink.